Here is my favorite photograph of a male lion, taken in the Khwai area of Botswana. 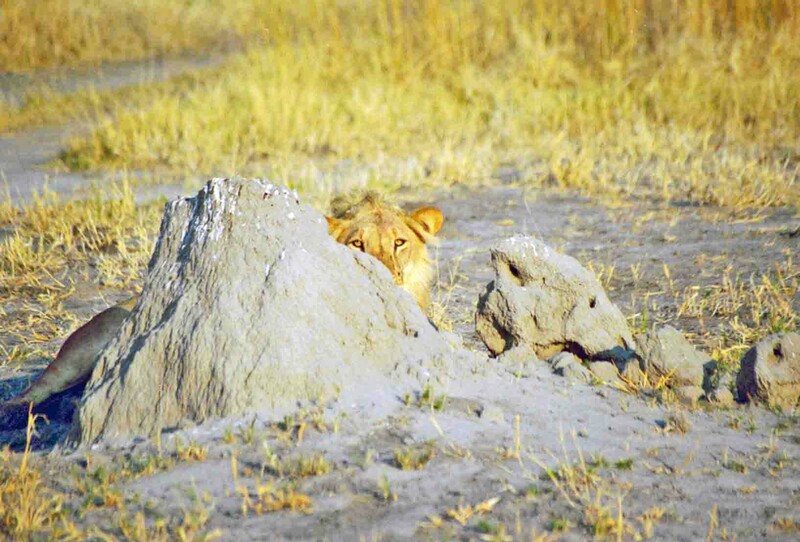 I think he was hoping, as he hid behind an eroded termite mound, that we couldn’t see him. Of the five subspecies left in the wild, this male is a member of the Southwest African lion, (Panthera leo bleyenbergi), the same species as Cecil, the Zimbabwean lion whose death as created an international uproar. This subspecies, also known as the Katanga lion, is the largest of all lion types and can be found in Namibia, Angola, Zaire, and Zambia, as well as Botswana and Zimbabwe.